Lithuania is contributing to the creation of the UK-led Joint Expeditionary Force, which will consist of around 10,000 troops. "We are a coalition and likely minded nations. I think as a soldier I would say that we are nations that are prepared to fight and we have shared perception of the problems and challenges that we face within our region," Major General Stuart Richard Skeates, the JEF commander, told BNS in an interview. "We have got very proud history with all of our partner nations in operations like Afghanistan and Iraq," he added. The creation of the JEF was announced in late 2015 after the United Kingdom, Lithuania, Latvia, Estonia, Denmark, the Netherlands and Norway signed an agreement to establish the force. Lithuania has already contributed around 150 land troops to the force. 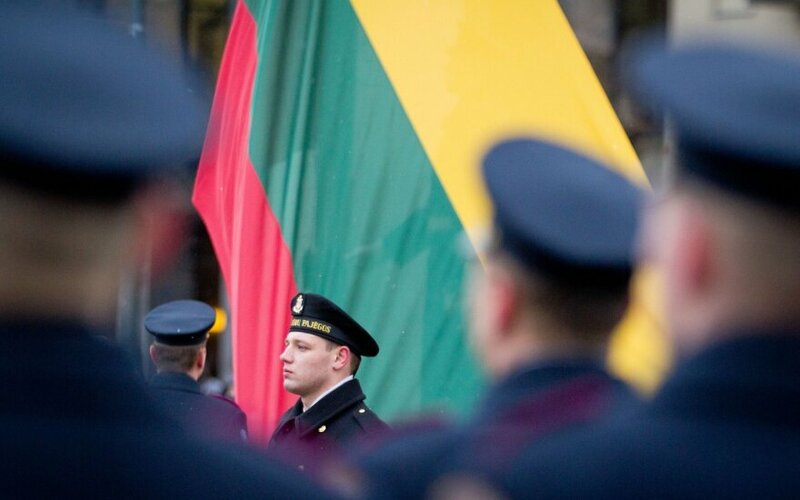 Skeates discussed progress in developing the JEF with the leaders of the Lithuanian Defense Ministry and the Armed Forces during his visit to Vilnius this week. The force, which will consist of air, land and naval components, is expected to reach its full operating capability in 2018. The British general says that the force will be capable of performing a very wide spectrum of operations -- from combat operations to humanitarian missions -- and of taking part in international operations led by NATO, the EU, the UN and coalition partners. "JEF is configured to face any threat. And that's not just physical threat. That could be threats within an information domain, or potentially, within cyber environment," he told BNS when asked if the force had been created in response to Russia's actions in Ukraine and in the Baltic Sea region.